​Finding a wedding gift is never easy. No matter how well you may know the couple, it’s a challenge to find something that you can be sure they will both really love and appreciate. 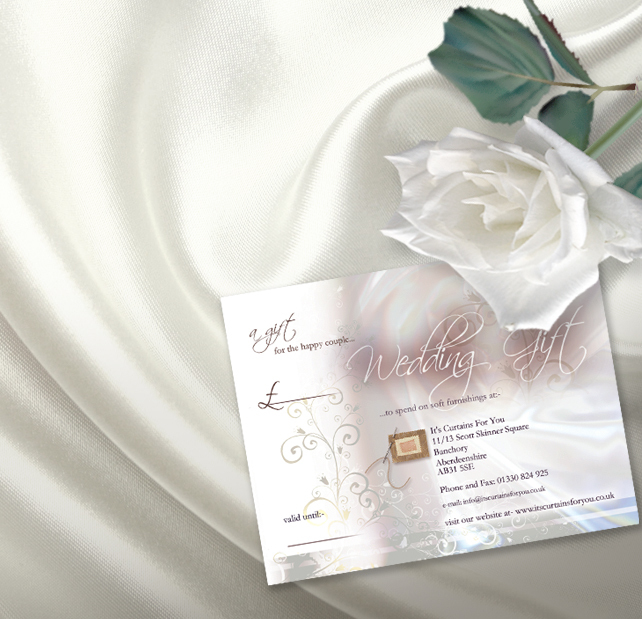 Our wedding voucher is the perfect solution- give the couple the gift of choice. 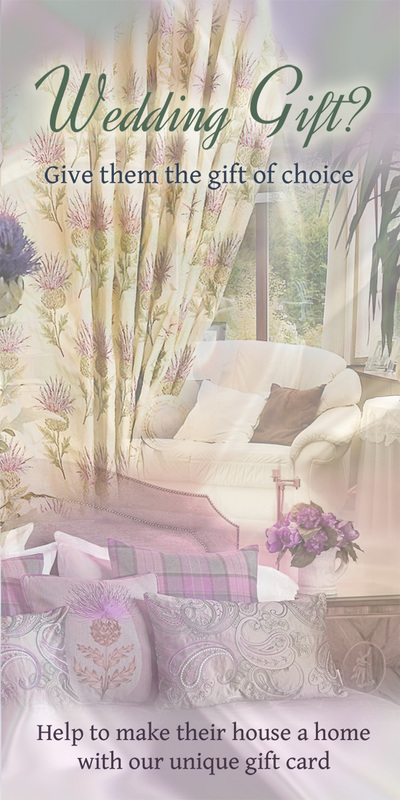 We can help them make their house a home with our extensive range of soft furnishings. ​We also offer gift vouchers for any occasion, so whether it’s a birthday, anniversary, Christmas or homewarming gift... you can let them choose!